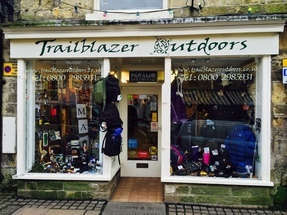 Everything you will ever need to enjoy the great outdoors, from camping to walking in the UK or abroad. We have the knowledge and the expertise to help you. We are a family owned business based in Pickering - on the edge of the utterly stunning North York Moors National Park. Over 20 years in business, we have built our reputation on providing excellent service – before, during, and after your purchase. All the family and our staff are all involved in outdoor activities – from climbing to wild camping and Bushcraft, through mountain biking and hill walking, to wildlife watching, Mountain Rescue, photography and film making. We use these interests to personally test the outdoor gear that we sell in our shop, and on this website. So if you want reliable advice, or just a personal take on what works for us, there is always someone helpful at Trailblazer Outdoors.